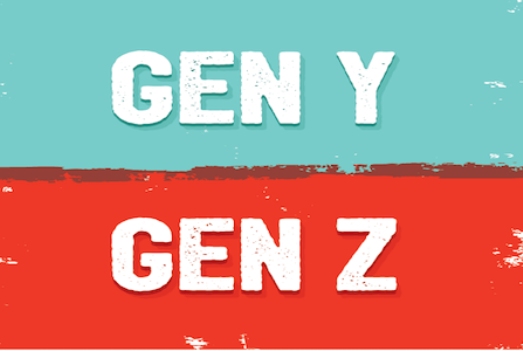 Home › CURRENT-EVENTS › Is Generation ‘Z’ the Liberal, Loose, and Last Omega Generation? The common symbol for omega is ‘’ and according to scripture, Jesus Christ is the incarnation of both the Alpha and Omega. A long theological treatise to elucidate this basic truth would be extraneous; to put it simply Jesus Christ was the creator of the world as he rested in the bosom of his Father and he is the culmination of the world in the last days of time. It would take a book-length report to list the many aberrations from the last few years, but here are a few from just the past week. The Barna Research Group published a report in August of 2018 which concluded that most people in the Z generation don’t even want to discuss faith in God for one of two main reasons. The two causes for the societal disconnect are “avoidance and ambivalence.” The trouble with that is, people who don’t think it’s worth defending or even mentioning are getting trampled and it will continue until they are all but eliminated by the world’s last dictator. These kinds of things have grown from mere predictions to daily occurrences in less than a decade. He will waltz into our history on the wings of a worldwide financial crisis after which he will control the world by acquiring a grip on global finances. Wondering who this man is, hold on to your hat when the markets crash and governments begin to go bankrupt. You will see the man emerge as surely as the rising of the sun. Start taking the favorite verse of the late Billy Graham to heart and make your move to the Savior who will lead you out of the Z generation quagmire.